Pilates is a holistic way of exercising that will elongate and strengthen your body, but more importantly help your body to find the most efficient and safe way to take you through daily life. In this way, it is a great choice for those of us who seek to restore our bodies to a happy equilibrium and reduce the risk of injury which is why it is recommended by so many Health Professionals. Moreover it can be a great way to unwind and release tension. 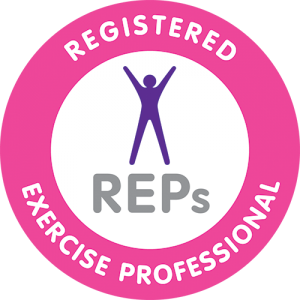 With over 6 years as a practitioner, I am a qualified Level 3 Mat Based Pilates Instructor & a Rehabilitative Breast Cancer Exercise Specialist. I offer exercise classes that can be accessed by all and utilise a broad range of small equipment to enable clients to get the most of of a class. I work with the 6 Pilates principles -Breath, Concentration, Control, Centre, Precision & Flow – in order to build a class that focuses on developing a strong core, improving posture and bringing your body back into alignment in a safe and effective way that is suitable for almost all regardless of age, ability or fitness level. Currently I offer mat and seated Pilates classes in Ryde. "Excellent class. Ann is the best Pilates teacher I have found. Her classes are always varied and interesting and she is excellent at checking that everyone is in the correct position. She explains the benefits of the moves which helps to motivate me. Fantastic!" Copyright © 2019 Balance My World. All Rights Reserved. The Arcade Basic Theme by bavotasan.com.